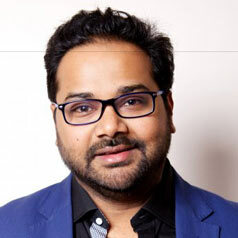 Ambarish Mitra is the CEO and co-founder of Blippar, a leading technology company specializing in augmented reality, artificial intelligence and computer vision. Ambarish is a serial entrepreneur who started his tech career as a 17 year-old high school drop-out entrepreneur on women empowerment. He is an active private investor in the field of AR, AI and Genomics. With a vision to create the ultimate augmented reality browser by recognizing everything in the physical world Ambarish, has been widely recognized for his unconventional business thinking and people-first philosophical approach to management. In 2016, Mitra was named UK Entrepreneur of the Year by Ernst & Young and Young Global Leader by the World Economic Forum in 2017. Blippar was listed 3 years in a row in CNBC's list of most disruptive companies in the world.